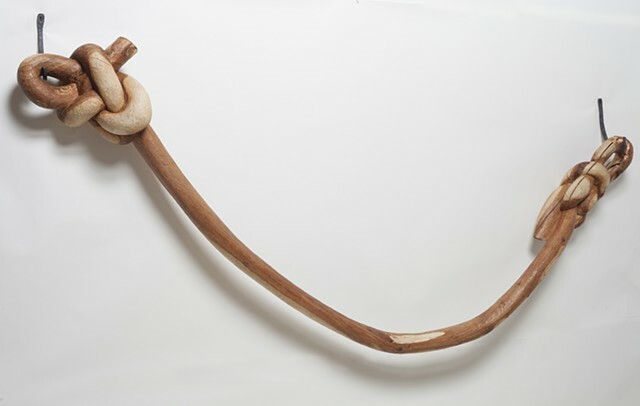 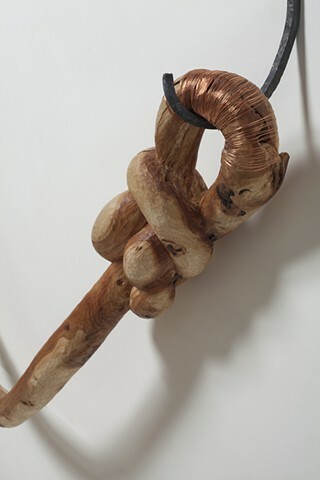 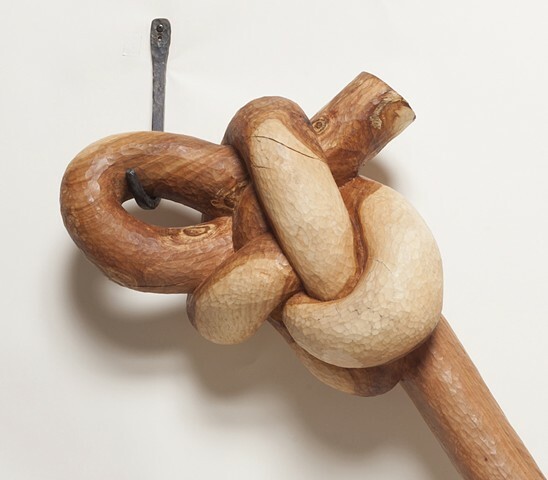 I began to carve knots to suggest handholds and stabilizing places along climbing ropes. 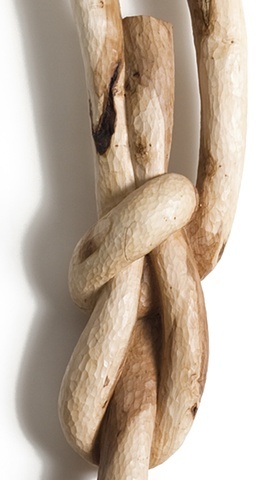 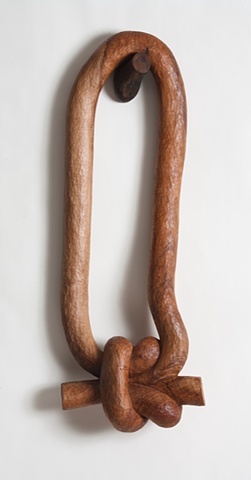 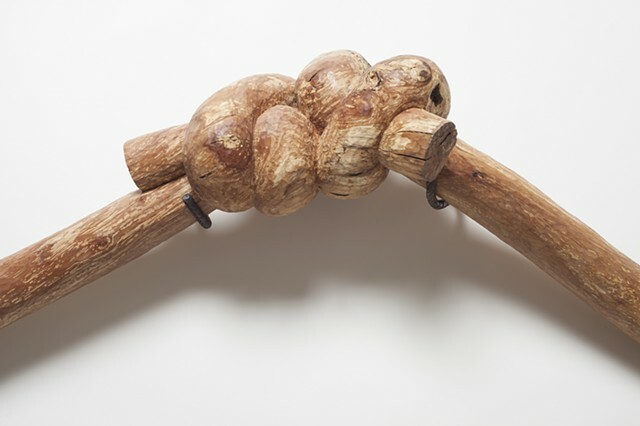 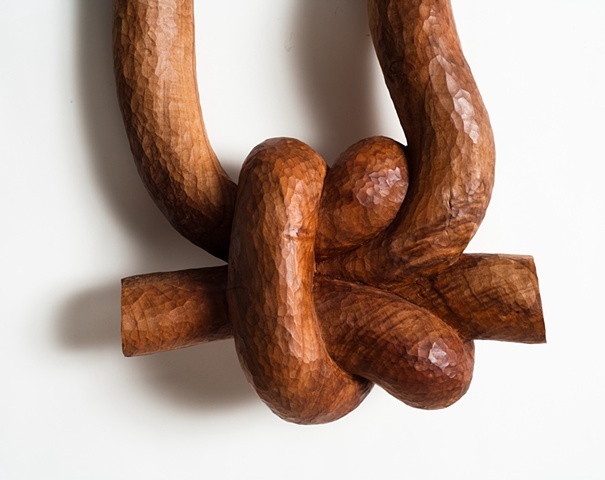 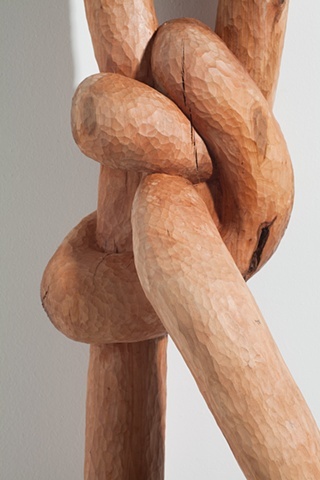 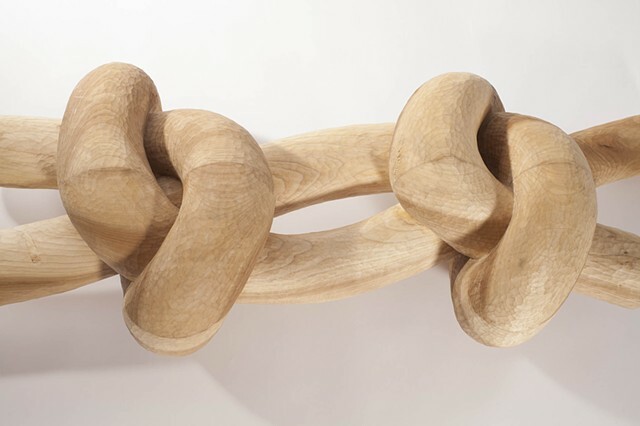 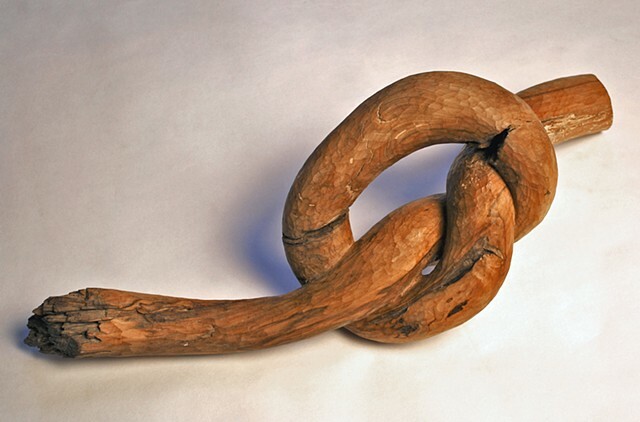 Large, singular knots then became one focus of my work. 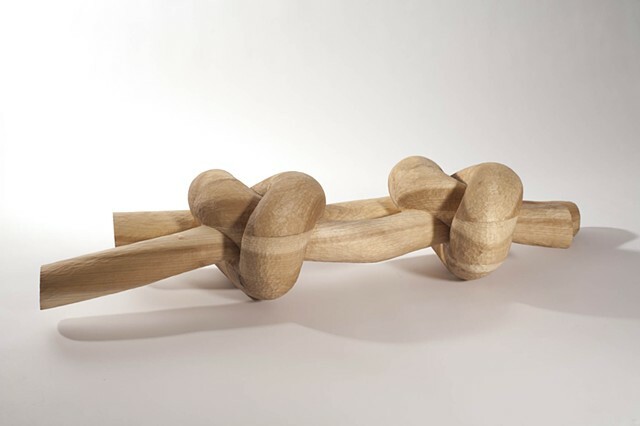 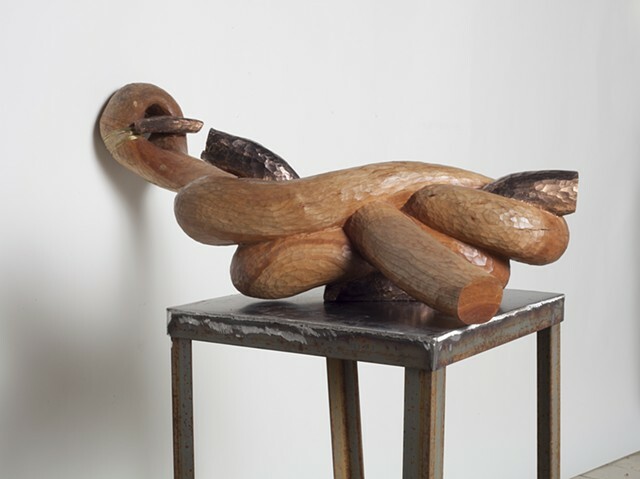 They are a challenging pleasure to carve and represent security, tangle, and loosening up, three fighting aspects of my life as a parent and artist. 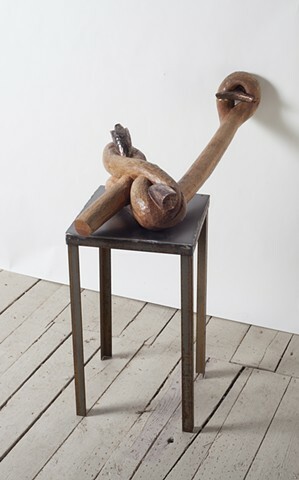 11"H x 53" x 18"
7"H x 24" x 9"
43"H x 98" x 8"
86"H x 5" x 10"
26"H x 76" x 8"
11"H x 19" x 32"